Posted on December 13, 2013 March 3, 2015 by Sarah R.
I have followed with great interest the events of the past several weeks, as the American Studies Association put forward its historic resolution to honor calls from Palestinian civil society for an academic boycott of Israel. The process underwent more democratic engagement of membership than any other in that body’s history; while the resolution passed the ASA Council vote (all that was required, per its bylaws), it subsequently went up for vote from membership. That vote closed last Sunday, with a landslide victory of over 66% voting in favor of the resolution. Any readers of this site have undoubtedly followed the ensuing public debate, and the extraordinary amount of column-inches and airtime given to parties decrying the ASA action, with very little critical engagement with the statements being made by those often very powerful detractors. Meanwhile, in the midst of the ASA vote, the Native American and Indigenous Studies Association (NAISA) passed a resolution of its own in support of boycott. Given these recent unprecedented events and the public debate they have spurred, it would appear that the topic of the academic community’s engagement with Israel, long treated as a taboo and not to be discussed in polite scholarly company, is out of the closet and unlikely to go away. Since I initially waded into the online discussion on this topic some days before the Council’s resolution was made public, I have been – perhaps naïvely – shocked and disturbed by various claims and assertions made by senior academics whom I have considered to be critical thinkers and scholars. I have spent hours attempting to unfurl the logic of those against the boycott, weighing my position against theirs so as to examine their concerns and understand the objections, many of which appear to be predicated on a lack of information or outright misinformation. Moreover, some are founded on assertions about the nature of the academy and the nature of the U.S. relationship to Israel that are disturbingly unexamined and frequently contradictory. They boil down to a series of issues that I will address in sequence. Claim: The boycott will unfairly impede individual academics and their scholarly pursuits. Response: In numerous responses to the ASA resolution, opponents have consistently cited a concern that has been in the form of this claim. It is one that is decidedly false, yet is continually perpetuated in the media and by high-level academics and administrators. Wesleyan University President Michael S. Roth, writing in the LA Times, was one of the most recent high-profile senior leaders to stake an entire opinion piece on factual errors about the nature of the resolution. In fact, per both the language and intent of the resolution, as passed by Council and by membership, individual scholars are not targeted or affected directly. Rather, the boycott is directed at institutions. That this action will have an impact on Israeli academic institutions is indeed the point; that is, after all, the intended outcome of a boycott. Some have voiced concern that the exact impact on these institutions is unknown; again, such is the nature of a collective action such as boycott, and to know exactly what the outcomes might be would require prognostication beyond human ability. But this point unveils a larger problematic undercurrent in the discourse of objectors, wrapped in an objection to what detractors have termed “academic freedom” – the freedom for academics to engage in scholarly activities in research, teaching, service and travel without fear of reprisal for those actions. Typically, this principle is extended only to tenured faculty, an issue I will take up elsewhere. Claim: The boycott will impinge upon scholars’ academic freedom. Response: Given the discussion above, it is unclear what the exact nature of the concern is with regard to individual Israeli scholars’ ability to carry out work or to otherwise continue to participate in the global academic network; it should carry on unfettered by the ASA resolution. That having been said, this claim is particularly confusing from a rational perspective. It is a peculiar sort of academic elitism that puts academic freedom, a somewhat abstract concept in itself, in a position of primacy before other types of very real and tangible physical freedoms: the freedom to circulate unimpeded, the freedom to be treated as an equal citizen, the freedom to even access spaces of higher education, which must certainly be a prerequisite for the much-lauded academic freedom that is causing so much consternation. Palestinian people living in lands occupied by Israel are barred from these things. There are precious few freedoms for Palestinians, academic or otherwise, in Israel and in occupied Palestine. In this sense, the boycott is, in fact, a response to an actual lack of academic freedom for an entire people, not the creation of a potential for loss of some higher-order freedom for relatively few individuals. Supporters of academic freedom must side with Palestinians or their position makes little sense and loses its meaning completely. Simply put, there is no defensible or reasonable moral equivalency to be had for a potential loss of “academic freedom” for Israeli scholars vis-à-vis the total lack of tangible, practical freedom for the entirety of a people under occupation. I urge scholars who have taken an anti-boycott stance on this point to reconsider in this light. Claim: Academic boycott/the ASA is silly/inconsequential and will have no effect. Response: I have been subjected to this claim directly by a number of senior scholars. To them I say simply that the response to the ASA move belies this stance. In past days, the important Israeli daily, Haaretz, the Chronicle of Higher Education, Inside Higher Ed, the Nation and the New York Times, to name but a few, have all covered the resolution and the ensuing popular debate beyond the purview of the ASA resolution. Some of the objections centered on this claim have, either deliberately or out of ignorance, operated on a fundamental misunderstanding of the power of boycott. This is in light of a great deal of recent historical evidence that underscores their potential power. Indeed, collective and organized movements to disengage or divest in one area can and do have effect on others. In other words, even if it were true that an academic boycott would have little practical effect in the context of Israeli academic institutions (a claim that remains unproven until such a maneuver is actually attempted at a large scale), it would nevertheless likely resonate in other quarters that could have a more direct or powerful impact. True, too, is the very real danger to and reprisals against those who speak out publicly against Israeli occupation, suggesting that a call to boycott is much more than the hot air of bloviating academics that we are being led to believe that it is. In fact, many who have taken on public support of this resolution indeed have a great deal to lose. They include: untenured junior and contingent faculty; graduate students; academic and other university staff and even undergraduates who object to their institution’s ties to the occupier state of Israel. A number of them have already experienced reprisals and intimidation within their home departments and institutions; the ASA is endeavoring to track these incidents and urges those experiencing them to contact them directly. Public position in support of this boycott frequently yields inboxes filled with angry, threatening cut-and-pasted email from organized pro-Israel lobbies. It can lead to disapproval from administrators and colleagues and derision from other scholars. It is neither an easy nor a facile position to take and often comes at the end of a great deal of information-seeking and soul-searching, as well as a complicated calculus of risk-analysis. 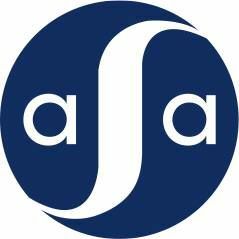 As academics at all career and institutional levels have come out in print or in their departments in support of the ASA boycott, blowback and retribution has been swift and fierce, to the point that the ASA Council has released a press release asking scholars experiencing threats or retribution to contact them for documentation and support. It is this chilling effect is the real threat to scholarly work, and it is happening now. Recently, Claire Potter (@TenuredRadical), a scholar who enjoys enormous popularity via her Chronicle of Higher Education blogs, very publicly and bravely reversed her initial stance on BDS and voted for the resolution, a reversal she came to after being a very public detractor of the resolution. Based on her own accounts, she came to this reversal after engaging with numerous scholars and activists who provided her with facts and with rationale behind BDS, and, ostensibly, provided her with information she had either previously not possessed or considered. For this she should be applauded. Potter can serve as a model for those who have previously voiced opposition to BDS, in general, or to the ASA resolution, specifically. For so many of us who are used to being highly specialized and expert in our respective fields, it can become difficult and out of habit to admit – even to oneself – a need to seek out more information from those more versed on a given topic or situation. Yet, as academics, we must reserve and exercise the right to learn more and become more informed, and then, without fear, take a new position. It is this continual learning and evaluation process that is at the essence of scholarship. Claim: Academe is an inappropriate site for political engagement. Response: This particular line of argument has been one of the most puzzling to which I have been exposed, given the high-level echelons whence it has emanated. The most recent powerful academic/political insider to make this claim is Larry Summers, who suggested a boycott of the ASA in response to the resolution; apparently boycott is only a problematically political act when it runs contrary to one’s own position on an issue. When I see these claims about the fundamental nature of the academy as somehow magically apolitical (as if any space can be), I wonder openly if I am operating in the same world to which the detractors refer. Surely these senior scholars – many of whom enjoy keynote speaking opportunities around the globe, hold high-level administrative positions at major universities, and have a worldwide profile and are routinely quoted in media of record (e.g., the New York Times) – must know that statements to this effect are ludicrous. They therefore are in the service of only one thing: to discredit positions taken up by other scholars that threaten the status quo, both within the academy and in relation to it. Since the mid-20th century, at least, academic research advancements have been funded by and used directly to further the objectives of U.S. policy at home and abroad, to wage war, and to insure and further entrench American military and technological supremacy – the underpinnings of its global power and reach. The academy has been the site of instantiation and reification of power and any academic whose work has attempted to push back on these norms and power structures can speak easily and compellingly to the academy as a political site. This includes scholars working in areas of indigenous or ethnic studies, in women’s and gender studies, in political economy, environmental studies and sciences and genetics research, to name a few. This includes feminists, academics of color, indigenous scholars, LGBT and queer scholars, anti-colonialists, working-class academics, and a gamut of others whose work or embodiment is a direct political counter to the normative nature of the academy and its insiders. It is an argument that can be afforded no purchase in serious discourse. Claim: There are other international situations and sites that call for action. Israel is being singled out unfairly. Response: While it is undeniable that injustice is being perpetuated around the world, often by the hand of or with the support of the US government, there are few (if any) contemporary cases of organized state oppression and occupation on the level of Israel. There is only this case, further, that is so unquestioningly and directly allied financially and militarily to the United States, a symbiosis to the tune of multibillions of dollars per year. Some have argued that there is a sort of moral inconsistency with focusing on Israel, as if the existence of other horrible cases of human rights abuses and injustices means that action is impossible until all can be addressed at once. To be sure, other people are well within their rights to build similar campaigns within associations of which they are a part to address global injustices and inequities from an organizational level. Some have suggested, rather facetiously, that those objecting to Israel might also wish to adopt a resolution that condemns the U.S. for a variety of actions; this was intended to derail the focus on Israel and suggest hypocrisy at some level. In fact, given the codependence between the two, this might not be a bad idea at all. More seriously, this is a case of moral relativism that has no logical conclusion other than inaction. Some have described a move against Israeli institutions as some sort of “slippery slope” upon which academics ought not to tread. The true danger lies, rather, in the reluctance on the part of those with significant power, authority and information to organize and act. It is a slippery slope of inaction and denial. Claim: Israel is an exceptional case to which these arguments and comparisons to other historical moments and movements (e.g., the case of South Africa under Apartheid) do not apply. Response: I have been surprised by the insistence by learned colleagues and seniors alike that there can simply be no opening for a comparison to the crisis of occupation at the hands of Israel to other historic moments of state-sponsored apartheid. If there can be no comparison and no helpful thread to be drawn out of the teachings of history, then we are left with Israel as exception, a case so unique and specialized, complex and nuanced that no other moment of human history can serve as an appropriate analogue. By this logic, something about the nature of Palestinian people, therefore, must be exceptional. Under this line of argumentation, it is this exceptionalism, and not a more sadly ordinary case of injustice and discrimination, that then explains the seizing of lands, the displacement of a people, the lack of circulation, of employment, of the right to livelihood, the violence and imprisonment and death. Can this be true? Can the case of Israel be so special and the nature of Palestinians so Other (than human) as to justify this treatment by the state and the continued material and moral support of the United States? I believe it cannot, and I am not alone. Steven Salaita, a prolific scholar on these topics as well as a member of ASA Council, is just one academic who has written extensively about the indefensible rhetoric of this line of reasoning. What we are left with, if we disavow the Israeli claim to exceptionalism as I believe that we must, is a much more quotidian case of abuse of a people to economic and political gains for another. It is a colonial logic predicated on myth-building about the fundamental nature of groups of people – some good and some bad; some civilized and some barbarians – that scholars have frequently and rightfully discredited in other contexts. We need not look far back in our own American history for similar cases, and we can examine current American complicity with Israel for another. All of this begs the question: where do we as scholars – those of us who acknowledge both our power and our political selves – stand on such issues? I believe the ASA resolution has provoked such a heated and powerful public debate not only because of what it asks of membership and a broader audience to acknowledge about the state of Israel, but also because of what it asks us all to acknowledge about the United States. I believe we have a moral obligation to respond to both aspects of this provocation. Inaction is political. Inaction is a stance. Claim: We don’t know enough to act. Response: Many people whom I would otherwise consider allies have expressed concern and worry to me that they feel ill informed about the humanitarian crisis facing Palestinians. Many of them are my peers – early career junior academics, or people on the job market, or graduate students, or colleagues in contingent positions. But many more of them, to my consternation, are senior scholars whose own academic freedom is protected by tenure and whose financial and other types of autonomy are also in place. These people are researchers by trade and by training. To them I say: the information is out there. Are we not scholars? Address your knowledge lack in a scholarly fashion. Access information. Read the books. Look up the news reports. Apply a critical lens. Divorce yourselves from the unexamined emotional investment that we, as Americans, are acculturated to possess with regard to support for Israel. In fact, academics routinely take stances on topics about which they know much less. What, then, is the nature of the fear or reluctance as applied to this situation? The position and willingness to act in this case does involve soul-searching and critical evaluation of information, for much is indeed at stake. But academics are trained and mandated to examine evidence, and it is my belief that any investigation into that evidence will cause objections to the boycott and support for Israeli occupation of Palestine to unravel. Reserve for yourself the right to reverse your position, if you have previously espoused one that no longer seems to make sense. Respond to the news. Respond to the call from Palestinian civil society and the coalition of voices that are calling upon you to act. Contrary to claims that suggest otherwise, I believe that the passage of the ASA Council’s resolution to honor Palestinian civil society’s call to boycott Israeli academic institutions is, in fact, a watershed historical moment in the fight to end Israeli occupation and apartheid against Palestinians. The ASA, the Association for Asian American Studies before it, and NAISA, too, have ushered in a new era that calls on academic organizations, institutions and scholars to take a responsible position toward supporting the liberation struggle of a people under siege. As academics with international networks and the ear of our colleagues, our institutions and the media, we must exercise our considerable privilege and power in the service of moral and ethical positions. Our own knowledge of history and our own critical research has taught us that difficult positions that challenge the status quo are frequently unpopular, and carry with them a great burden. I recognize that this is an especially fraught and risky action for those who are non-tenured, junior and/or contingent members of the academic enterprise to undertake, but to those of us who fall into that category, let me suggest that we must begin to practice what our research and knowledge and training have engendered us to do. In so doing, we can exercise solidarity for each other as we demonstrate it for the Palestinians who are being denied their basic human rights to exist. To those who insist on a pro-Israeli, pro-Zionist position, or to those who stand by the lines of argumentation I have attempted to dismantle in this essay, I respectfully suggest that you have found yourselves on the wrong side of history. The tide against this modern-era apartheid state is turning. The ASA has bravely and historically led the way, with others assuredly to follow. Colleagues, in this matter of justice, which side are you on? A note to readers: This essay reflects an edited version of the original, and was subsequently reposted here. On December 16, 2013, the American Studies Association announced the results of the resolution vote by its membership. Of over 1250 ballots cast, the resolution carried by a vote of 66.05% in favor.